Wow, looks like the giveaway has ended, time to draw a winner! I will be drawing in about 8 hours (after I get home) and will be contacting the winner by email after announcing. If you do not reply within 3 days, I will draw a new winner. 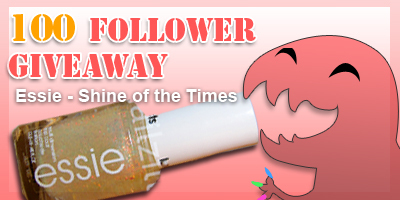 In the meanwhile, there's still 6 days left to enter my 50 follower giveaway for a chance to win 1 in 3 prizes, including a Micki Minaj mini set by OPI and DS Coronation, an oldschool holographic from OPI. Enter here!